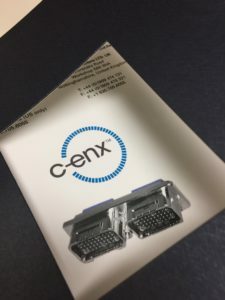 When our customers come to us with a challenge, we provide solutions! 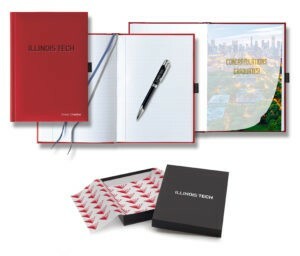 Custom Journals and Notebooks make a big impact and are very reasonably priced. Just a few pieces of customization go a long way. 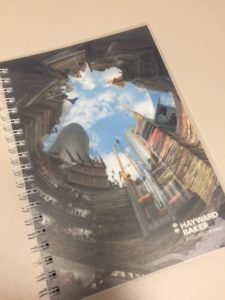 For our client, Hayward Baker, we simply added a custom photo and frosted cover. For Illinois Tech, we pulled out all the stops, personalization on the outside, (who doesn’t like to see their name in lights) personalized step and repeat tissue paper, laser engraved pen, custom tip-in page, custom private label packaging. 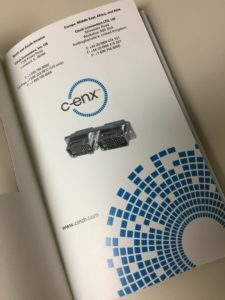 The challenge for C-Enx was they wanted the image of a new part they were rolling out to be the focus…our solution, a custom window with a tip-in page! 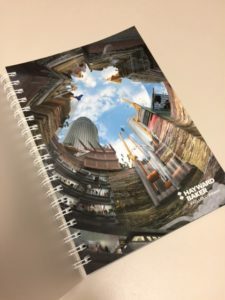 Each of these journals created are practical and useful, but most importantly, drive their brand!